Just because we run a movie news/review website doesn’t mean we also don’t love and support other people/sites that do the same thing. Take for example Rotten Tomatoes. Everyone should know what that site is. I love it. It has always been a great resource to find very helpful and trusted reviews since it pulls in so many peoples opinions and puts them all into one place. The numbers don’t lie. Everyone, not just me loves Rotten Tomatoes. Flixster (the company that previously owned Rotten Tomatoes) is the #1 downloaded movie app for mobile devices with over 35 million downloads to date. The website RottenTomatoes.com gets a staggering 12 million+ unique visitors per month. 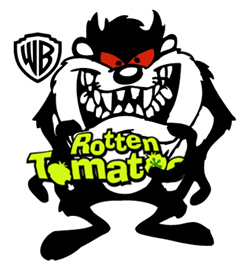 This morning Warner Bros announced that they acquired both Flixster and Rotten Tomatoes. I can’t help but think that there will be a conflict of interest when one of the most popular movie review websites is run by a studio. What is going to stop Warner Bros from skewing ratings for films like Yogi Bear and Jonah Hex in hopes of preventing a flop? I guess time will tell.